Crown Prince of Abu Dhabi and Deputy Supreme Commander of the Armed Forces Sheikh Mohamed bin Zayed said the PM has been awarded the Zayed Medal. New Delhi: Prime Minister Narendra Modi has been awarded the highest civilian award of United Arab Emirates (UAE) for boosting India-UAE ties. In a tweet, Crown Prince of Abu Dhabi and Deputy Supreme Commander of the Armed Forces Sheikh Mohamed bin Zayed said the PM has been awarded the Zayed Medal. Earlier recipients of Zayed medal or Order of Zayed include Russian President Vladimir Putin (2007), President of China Xi Jinping (2018), Queen Elizabeth of UK (2010) and King of Saudi Arabia Salman bin Abdulaziz Al Saud (2016). In the past few years, UAE-India ties have grown manifold, especially with a number of high-level visits. 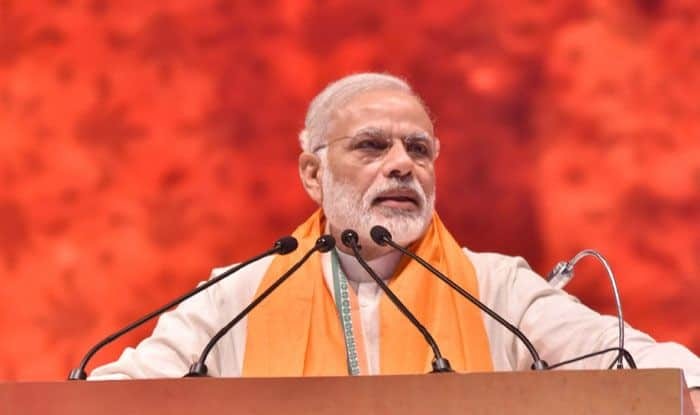 PM Modi first visited the country in August of 2015 which was followed by the visit of Crown Prince of Abu Dhabi Sheikh Mohamed bin Zayed Al Nahyan in 2016. The following year, the Crown Prince was the chief guest at India’s Republic Day parade and again in 2018, PM Modi visited the country and was the chief guest at the sixth World Government Summit in Dubai. UAE is one of the few countries PM Modi has visited twice. Earlier this year, in a first, UAE invited India as a guest of honour at the organisation of Islamic cooperation foreign ministers meet despite reservations from Pakistan.